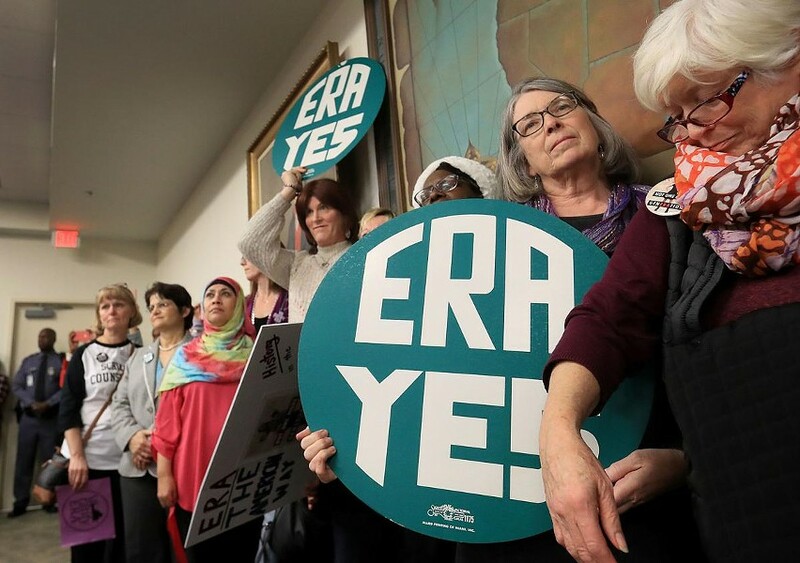 Commentary Update: ERA Bill Supporters Remain Hopeful | Street Talk | Style Weekly - Richmond, VA local news, arts, and events. Rob Ostermaier/The Virginian-Pilot Supporters for the ERA at a Jan. 9 meeting. Will Jan 22’s redistricting decision handed down by the U.S. Court for the Eastern District of Virginia convince House of Delegates Speaker Kirk Cox, R-Colonial Heights, to allow the Equal Rights Amendment to come out of committee and onto the floor for debate and a full vote? Proponents of the ERA are hopeful it could. According to the Virginia Public Access Project, the court’s decision would have profound effect on Cox’s district. The decision would remove rural areas and shift the district’s boundaries north into the Chesterfield County suburbs closer and closer to Richmond. The project reports that the speaker's district would experience a dramatic Democratic shift, the equivalent of 32 percentage points more than past election results. Speaking for the VA Ratify ERA group lobbying for passage, Katherine Jordan noted: "We remain hopeful that Speaker Cox will send the ERA to the House floor where we have the votes to pass it. Our focus is on his power as Speaker of the House since the Privileges and Elections Committee continues to signal they won’t support it. It’s anyone’s guess if the redistricting news will influence his decision."